David Blatt was not long for the Cavaliers. He survived one season but was ultimately shot out of a cannon by David Griffin and King James the next year. There were very early signs of malcontent in the Cavs locker room. Lebron, Kevin Love, and Kyrie didn’t exactly bring the pain 48 minutes a night. 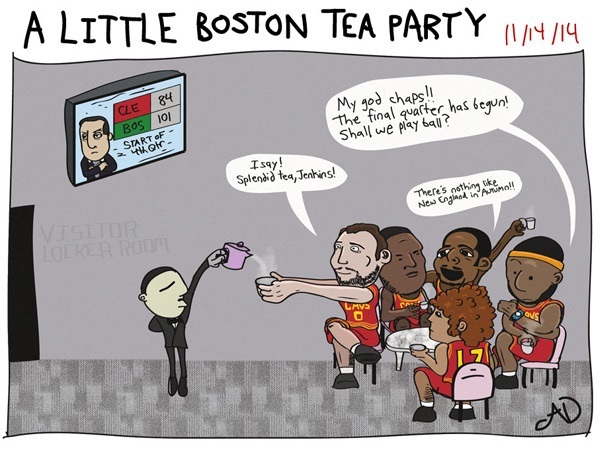 One night in Boston, they entered the 4th quarter at a 17-point disadvantage. I was optimistic about Blatt’s perceived ‘no-nonsense’ approach in Maccabi Tel-Aviv, but when the Blatt meets the King, the King wins every time. I watched the game and an image of the stacked Cavs squad completely goofing off in the locker room entered my mind. They went on to win the game but, given their incredible talent, they never should have struggled as much.